You are here: Home / EV/SSL certificates / SSL certificates / What is an SSL certificate? An SSL (Secure Sockets Layer) certificate, also known as Transport Layer Security (TLS), is created using a internet communications security protocol. 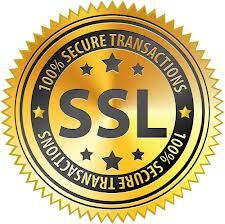 An SSL certificate certifies a company’s identity and ensures that data exchanged through the internet is encrypted. Using SSL mode enables internet users to identify the owner of the website they are visiting, as well as confirming that this owner really existed on the date on which the certificate was issued and ensuring that data exchanged through the site is encrypted. Another reason to install an SSL certificate is Article 34 from the CNIL (French Data Protection Authority – Commission nationale de l’informatique et des libertés), which states that IT professionals must secure databases and personal or financial data during transit. This law states that the data processing manager is personally responsible for ensuring the security and confidentiality of data in order to uphold the privacy of the persons in question. It is therefore crucial to protect your data communications. The SSL (Secure Sockets Layer) protocol is based on complex symmetric and asymmetric encryption algorithms (public and private key cryptography). It is used to set up a session between a web browser and a server hosting a secure website. The SSL certificate enabling this session to be opened is issued by a certification authority, after the authority has completed a strict audit corresponding to the authentication factor by which the certificate in question is covered. The session is essentially opened in the following way: after your request has been sent, your internet browser asks the web server that you are going to connect to to authenticate itself. The server provides a copy of its SSL certificate in response. On receipt of the cert the browser analyses its compliance and checks that it has not been revoked. When this check is complete, the browser sends a positive response to the server. Once the browser has issued its acceptance, the web server validates the process and sends a digital signature to confirm the launch of the session. It is only once this process has been finalized that the session is active and transactions are encrypted.